A well designed swimming pool is a thing of beauty, but a custom designed pool is both beautiful and original. A one-off design is personal, and, therefore, to be treasured. A standard rectangle was once the traditional shape for a pool. It was functional and formal. Its straight lines could be used to complement existing structural arrangements and surrounding architecture. Nowadays, the rectangle has become restrictive. Pools don’t need to be formal, and even serious swimmers don’t need a pool to be rectangular as long as it has a long straight section. Obviously, the size of the rectangle would be governed by the measurements of the space available. With a custom pool, you’re not limited by the same dimensions. A custom aquatic pool can be designed to fit any size of garden. Existing features such as trees, curves, even slopes can be incorporated into the plan. An everyday backyard can be transformed into a tropical oasis. With a custom designed pool, the choices are endless. You can create an indoor or outdoor aquatic experience straight from your imagination. Custom spas have become increasingly popular. Relax in tranquil, soothing spa surroundings complete with a trickling waterfall to add to the sensory pleasure. You could enhance your spa even further with atmospheric lighting and a panoramic picture sunset. Do you long for a wild and free landscape with jagged rocks and windswept trees? Or would you prefer the underwater world of a saltwater aquarium with tropical fish and a coral reef. Perhaps you dream of a fantasy land located only in your mind. Whatever your style, from concept to creation, state of the art technology will map out a custom design based on your vision. A lagoon style pool is designed to have a natural feel. Rather than harsh straight lines it’s curved to resemble a lake or pond. It’s not only the outline of the pool that can be shaped to suit your layout. The depth can also vary, with shallow waters formed to give the feel of a gently sloping beach. The custom lagoon pool can be personalized to replicate your chosen environment, from a tropical paradise to a Mediterranean beach. To accentuate the naturalness of a freeform pool, features such as boulders, trees and waterfalls can be used to enhance the atmosphere. Lagoon pools can be built indoors as well as outside. An indoor lagoon style pool can be fashioned in a cave like setting and include automated climate control. The addition of a jacuzzi in a secluded cavern will make the scene even more alluring. Outdoor or indoor, home owner or commercial client, we build pools to your vision. Our custom designed aquatic experiences are built to your specifications and schedule. 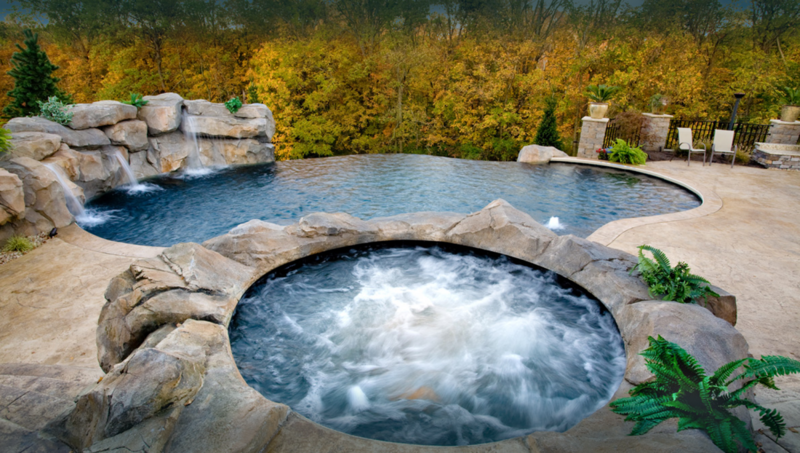 At Shehan Luxury Pools, our philosophy is to minimize maintenance and maximize pleasure.